I’m writing a column called Shelf Life every two weeks at Comic Book Resources, widely viewed as the #1 web site for comic-related content. The invitation from CBR head honcho Jonah Weiland took me a bit by surprise, but the chance to run my yap about whatever happens to be on my mind was too good to pass up. Hope you give ’em a read, and comment on ’em if you’re so moved. 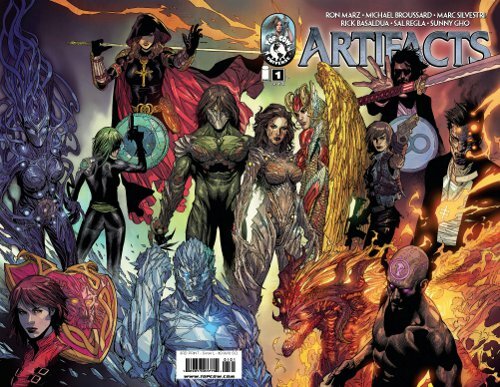 As with previous issues of my event series from Top Cow, here’s a one-stop-shopping collection of reviews for Artifacts #4. 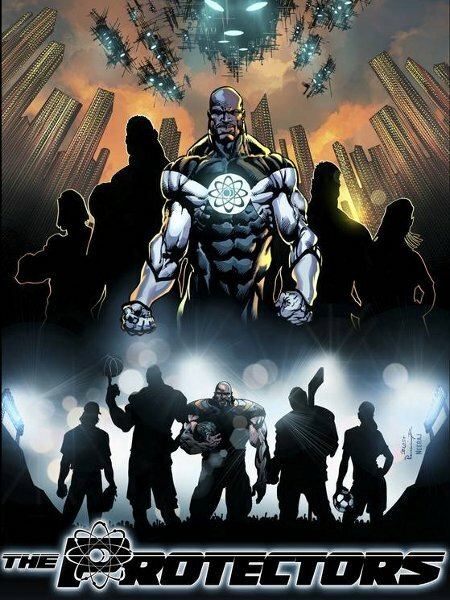 The issue marks the completion of the first arc of the 13-issue series, and Michael Broussard’s swansong as penciler. Issue #5 is already in the can, with While Portacio taking over on pencils, Joe Weems on inks and Sunny Gho on colors. Obviously I’m a bit biased, but I think the Artifacts #5 pages are some of Whilce’s best work ever, and Joe’s inks and Sunny’s colors are meshing seamlessly. Whilce’s two-page Blood Sword/Ian Nottingham origin in issue #4 is an appetizer for what’s to come. 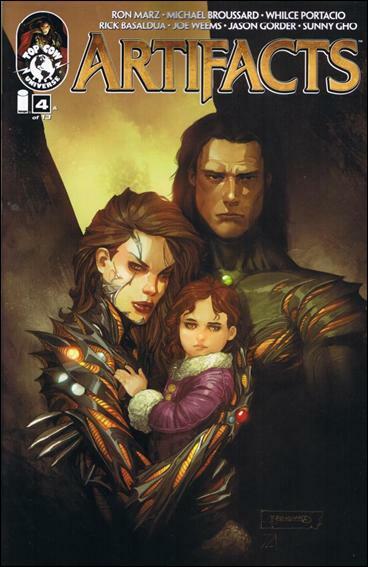 Issue #5, which introduces Cyberforce into the storyline, will be in stores on Jan. 26, the same day that the Artifacts vol. 1 TPB hits shelves. The TPB collects issue #0 and issues #1-#4, as well as a cover gallery and other extras, for a bargain price of $9.99.